PokerStars rolled out significant changes to its Stars Rewards program earlier this week stating the new program makes it easy to win rewards tailored to you. The Stars Rewards program still revolves around earning enough Reward Points to open chests, with each chest containing a cash prize. Six different levels of chests exist and contain prizes worth between $0.50 and $700. Prizes in the chests have increased along with the expected value from each level, but it is now more difficult to reach the six different levels currently available. As you can see from the table above, Red and Platinum chests have been removed from the program and replaced with Diamond and Black. The Stars Group has not released the requirements to open each chest, although they did reveal the easiest point requirement for the Blue chest will be 350 reward points; previously, Red was the lowest chest and only required 150 reward points to open. Blue chests now award $0.50 each time they are opened, with Black chests paying out up to $700. The new payout frequency for the highest payouts has been increased significantly from one in every 10,000 chests to one in 100 chests. Players no longer move up and down levels based on a single session of poker. Instead, the new Stars Rewards program takes place over a 28-day period. Where in the old program players had to earn four chests in a single day to move up a level, the new system will see players climb to the next level after earning 10 chests over 28 rolling days. Some chests also contain a ticket to a special Stars Reward Spin and Go tournament where players can win up to $5,000. These tournaments play like any other PokerStars Spin & Go but are only available to those who have won a ticket through a rewards chest. Reward Points are earned across all The Stars Group products: poker, casino and sports. Poker players earn 100 rewards points for every $1 paid in rake at Zoom, cash games or in tournaments, although only 45 reward points per $1 paid in scheduled tournaments following a move in February to reduce rewards for MTT players by 55 percent. Players will not earn any reward points in pot-limit and no-limit cash games with blinds of $5/$10 or above, 8-game tables with stakes of $20/$40 or higher, or in other limit games with blinds of $20/$40 or above. Casino games award a variety of different reward points depending on the game wagered on, while people placing bets at BetStars earn two reward points for every $1 wagered on single bets and 5.5 reward points for every $1 wagered on multiple and accumulator bets. 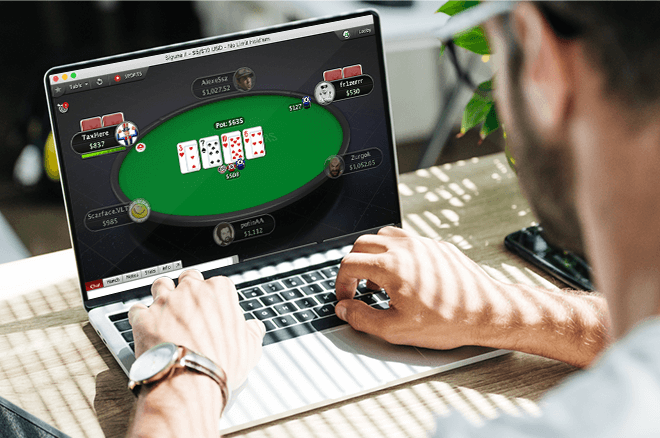 PokerStars’ Director of Poker Innovation and Operations, Severin Rasset, claims the changes have been made after gaining a better understanding of how players engage with The Stars Group products. How the changes are received by the poker community, particularly the higher stakes players, remains to be seen.